Graduated with a degree in philosophy from Berkeley. Finding jobs for philosophers scarce, I went on the road for five years as lead vocalist for various bands. Still in search of gainful employment, I spent four years in the legal field before moving into the insurance industry. I am fortunate to have a job I enjoy in the beautiful Napa Valley. 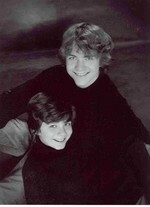 I have two incredible boys. Gregory is a senior at Justin-Siena and Alexander is a freshman. 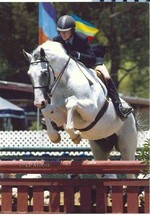 Gregory is an accomplished equestrian and competes throughout California. Alexander is my brilliant writer. I don't know how I got so lucky. They are really wonderful young men and they certainly keep things interesting! Karen Kelly posted a message. Welcome to the Valley. I moved here years ago and have never regretted it. Okay, maybe a little at 3:20 AM on August 24th.